Iceland has postponed plans to withdraw its application for European Union membership, the government said on Monday (12 May), after protesters called for a referendum. The government drafted a bill earlier this year to withdraw Iceland’s 2009 EU membership application without holding a public vote, but thousands of protesters gathered in March and April outside parliament, calling on the ruling parties to honour election promises to put the EU issue to a referendum. Foreign Affairs Minister Gunnar Bragi Sveinsson did not promise that. “I expect that parliament will return to the issue after the summer recess. I only consider it a formality,” he said. Around 55,000 people in Iceland signed a petition calling for a referendum on EU membership. Opinion polls indicate a majority of Iceland’s 320,000 people want such a vote. In an opinion poll conducted earlier this month, 37% of Icelanders said they want to join the EU, the highest level since the country put in its application. The poll showed 49% of Icelanders were against joining. In May 2013, the new Iceland government announced a halt to the country’s EU accession talks until Icelanders vote in a referendum within the next four years on whether they want negotiations to continue. 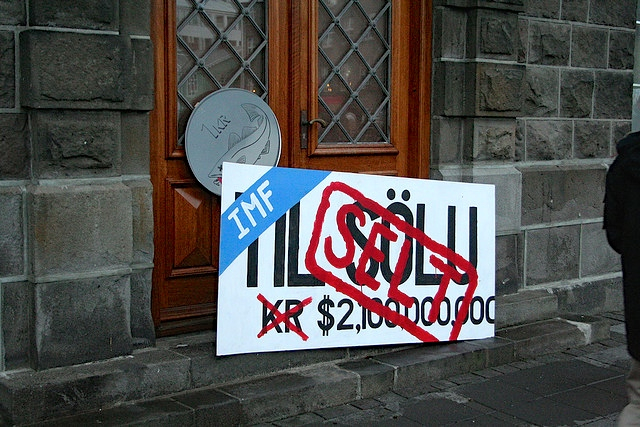 Iceland was hit severely by the 2008 global financial crisis and decided joining the European Union as a viable solution to its problems. In the summer of 2009, Iceland's parliament backed the government's plan to begin accession talks with the European Union. Only one year later, the country started EU accession talks. EURACTIV Greece ???????? : ??????????? ? ???????? ??? ????????? ??????? ???? ? ?